From testing cars in automotive companies to controlling production and quality in manufacturing plants, the must need for engineers and scientists is to have a flexible cost-effective solutions for test and measurement. Around 30 years ago, to address these needs, a different way to solve the test and measurement problem was evolved, called "virtual instrumentation". Today, virtual instrumentation has reached mainstream acceptance and is used in thousands of applications around the world in the industries such as automotive, electronics, and oil and gas. The concept of virtual instrumentation is, an engineer can use software running on a computer combined with instrumentation hardware to define a custom, built-to-order test and measurement solution. The vision of virtual instrumentation revolutionized the way engineers and scientists work, delivering solutions with faster development time, lower costs, and greater flexibility. The heart of any virtual instrument is flexible software. Every virtual instrument is built on this flexible and powerful software. Innovative engineer or scientist will apply his domain expertise to customize the measurement and control application as per the requirement. The result is a user-defined instrument specific to the application needs. With such software, engineers and scientists can interface with real-world signals; analyze data for meaningful information, and share results and applications. 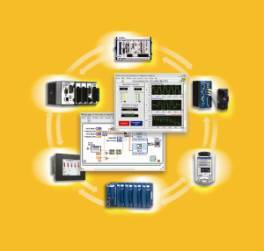 NI LabVIEW, the productive software component of the virtual Instrumentation architecture, is the graphical development platform for test, design and control applications. Figure 1: Virtual instrumentation combines productive software, modular I/O, and scalable platforms. The second virtual instrumentation component is the modular I/O for measurements that require higher performance, resolution, or speeds. Advanced Modular Instrument hardware use the latest I/O and data processing technologies, including Analog to Digital Converters (ADC), Digital to Analog Converters, Filed Programmable Gate Arrays (FPGAs), and PC busses to provide high resolution and throughput for measurements from 7 1/2 digit DC to 2.7 GHz. In combination with powerful software, engineers can create custom-defined measurements and sophisticated analysis routines. Visual: NI LabVIEW, the graphical development platform along with NI Modular Hardware provides among the most reliable virtual instrumentation architectures. The third virtual instrumentation element is - popular and commercially available computing platform (PC or Server) to run the software and connect to I/O module, often enhanced with accurate synchronization - ensures that virtual instrumentation takes advantage of the very latest computer capabilities and data transfer technologies. This element delivers virtual instrumentation on a long-term technology base that scales with the high investments made in processors, buses, and more. Together, these components empower engineers and scientists world over to create their own solutions with virtual instrumentation. Virtual instrumentation has gradually increased addressable applications through continuoussoftware innovation and hundreds of measurement hardware devices. Having influenced millions of test and automation professionals, today it is winning over experts in the control and design domains. Virtual Instrumentation is rapidly revolutionizing the functions of control design, distributed control, data logging, design verification, prototyping, simulation and more. Test has been a long-proven field for virtual instrumentation. More than 25,000 companies (the majority being test and measurement companies) use virtual instrumentation. National Instruments, the pioneer in Virtual Instrumentation has come a long way in the Test and Measurement domain. Yet, the need for test has never been greater. As the pace of innovation has increased, so too has the pressure to get new, differentiated products to market quickly. These conditions drive new validation, verification, and manufacturing test needs. A test platform that can keep pace with this innovation is not optional, it is essential. The platform must include rapid test development tools adaptable enough to be used throughout the product development flow, high-throughput test capabilities and precise, synchronized measurement abilities. Virtual instrumentation is an innovative solution to these challenges. It combines rapid development software and modular, flexible hardware to create user-defined test systems. The same design engineers that use a wide variety of software design tools must use hardware to test prototypes. Commonly, there is no good interface between the design phase and testing/validation phase, which means that, often the issues discovered in the testing phase require a design-phase reiteration. Figure 2: Test plays a critical role in the design and manufacture of today's electronic devices. In reality, the development process has two very distinct and separate stages – design and test are two individual entities. On the design side, EDA tool vendors undergo tremendous pressure to interoperate from the increasing semiconductor design and manufacturing group complexity requirements. Engineers and scientists are demanding the capability to reuse designs from one tool in other tools as products go from schematic design to simulation to physical layout. Similarly, test system development is evolving toward a modular approach. The gap between these two worlds has traditionally been neglected, first noticeable in the new product prototype stage. Today, to meet the ever-increasing demand to innovate and deliver ideas and products faster, scientists and engineers are turning to advanced electronics, processors, and software. Consider a modern cell phone. Most contain the latest features of the last generation, including audio, a phone book, and text messaging capabilities. New versions include a camera, MP3 player, and Bluetooth networking and Internet browsing. The increased functionality of advanced electronics is possible because devices have become more software centric. However, this increase in functionality comes with a price. Upgraded functionality introduces the possibility of unforeseen interaction or error. So, just as device-level software helps rapidly develop and extend functionality, design and test instrumentation also must adapt to verify the improvements. Visual: Virtual instrumentation has been widely adopted in test and measurement areas and is rapidly making headway in control and design areas. The only way to meet these demands is to use test and control architectures that are also software centric. Because virtual instrumentation uses highly productive software like NI LabVIEW, modular I/O, and commercial platforms, it is uniquely positioned to keep pace with the required new idea and product development rate. Virtual instrumentation has thus been widely adopted in test and measurement areas and is rapidly making headway in control and design areas. 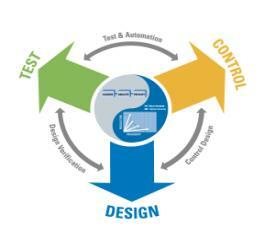 The benefits that have accelerated test development are beginning to accelerate control and design. Engineers and scientists who are increasing demands for virtual instrumentation in hopes of efficiently addressing worldwide demand are the driving force behind this acceleration. Jayaram Pillai, Managing Director, National Instruments, India, has over 10 years of experience in the measurement and automation domain. He holds a masters degree in Electronics from the Indian Navy. Following a 15 year stint with the Indian Navy, he joined National Instruments as an Applications Engineer in 1996 and took over as Managing Director in 2003. He is responsible for the sustained growth of the branch and leads the company with a result oriented approach coupled with an entrepreneurial spirit. For 30 years, National Instruments (NI) has been a technology pioneer and leader in virtual instrumentation. Headquartered in Austin, Texas, NI has more than 3,800 employees and direct operations in nearly 40 countries. Leading manufacturing companies all over world uses National Instruments products for test and control. NI India was started in 1998 to propagate the pioneering technology of Virtual Instrumentation in the country. The branch has witnessed consistent growth and has introduced many new products in the market. It has also seen successful adoption of the Virtual Instrumentation technology and tremendous interest from the academic sector.